I got this for my daughter and oh you wouldn’t believe the reaction on her face! She loves it and I have to say it’s a little big on a 3rd grader but that makes it extra cute! ATTENTION GRABBER! hah all my friends were instantly taking pictures of me and my 2dbackpack and I feel like I’m always getting looks while strolling through my college campus. My girlfriend loves it! Made the perfect gift if any of you are thinking about gifting it! Besides I like to give actually useful things. So far she says it has held up well and fits everything she needs. If you love pink, this bag is for you! 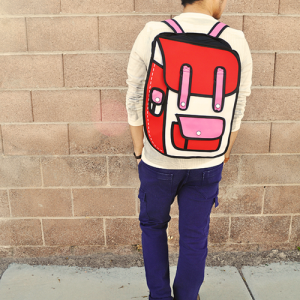 Definitely our most girly 2d backpack in our lineup featuring pink on pink! 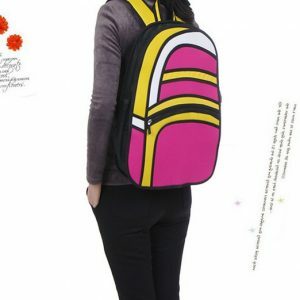 For all we know this 2D Bag could easily be featured in the lineup of Victoria Secret’s Pink lineup. 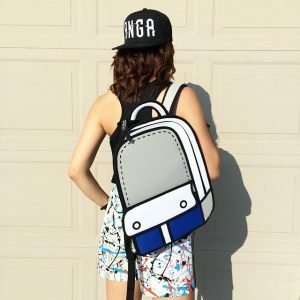 Like it, or love it, it’s a beautiful 2d backpack designed by college students for college students but even kids can rock it! 2. Secondary buttoned Compartment with room to also fit laptops, tablets, books, phones. Disclaimer: an elephant will NOT fit. 7. Stand out from the crowd and environment. It contrasts with everything! Take your bag everywhere.